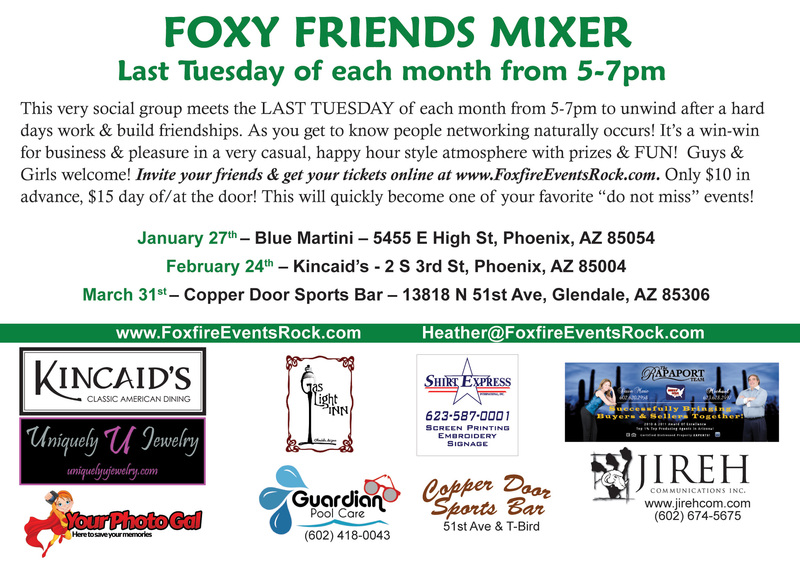 Blue Martini – 5455 E High St, Phoenix, AZ 85054 – This very social group of guys & girls meets on the LAST TUESDAY of each month from 5-7pm to unwind after a hard days work to build friendships and network. It’s a win-win for business and for fun! 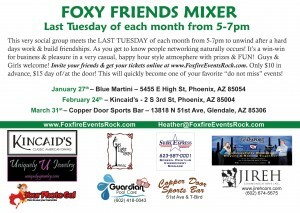 Invite your friends and get your tickets online at www.FoxfireEventsRock.com Tickets are only $10 in advance, $15 day of/at the door and include a chance at door prizes. This will quickly become one of your do not miss events!